It's that time of year when the grass (and whatever else is growing in your yard) draws in all the spring rains and bursts forth with new life! In other words, your grass needs cutting! Last year I had this great idea...you know, with gas prices so high...I thought I'd be "green" and let my grass grow. 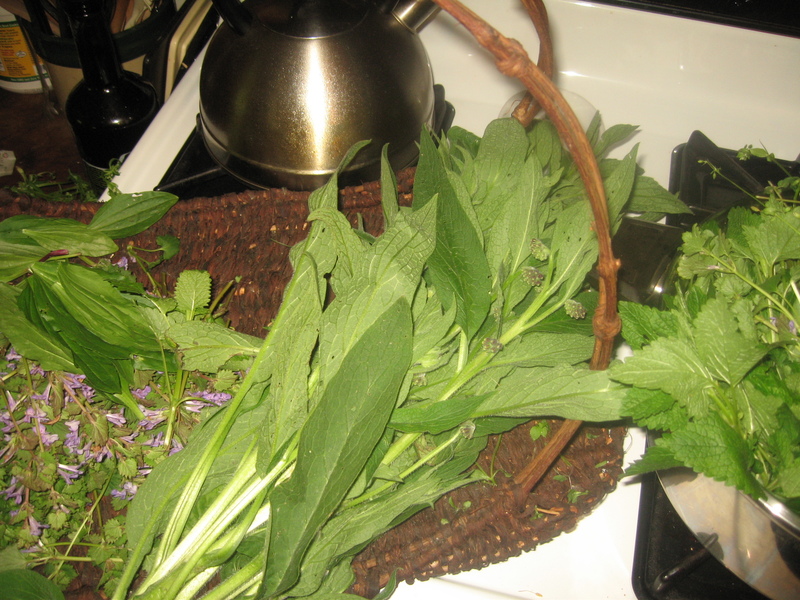 There were a lot of healing plants growing in my field and I was thrilled with the prospect of gathering them to make into some sort of herbal concoction. 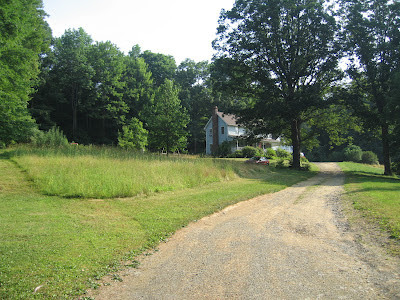 I tried to please the neighbors by mowing a generous margin around my wildness and dreamed I was living on the praire! But if you're not pruning your yard within an inch of it's life on a weekly basis, folks begin to wonder about your sanity. Seriously, though, we saved on gas because with our 5-6 acres of yard, it takes about 4-5 gallons of gas to cut, weedeat and push mow our entire place. 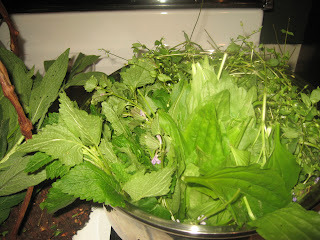 Plus, I gathered the plantain, chickweed, dandelion, ground ivy, yarrow, violets, strawberries etc. 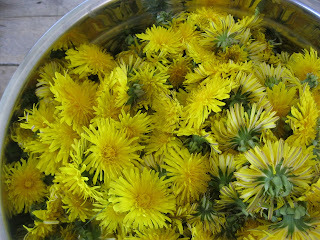 for use in my Herbal Medicine Chest. It was awesomeness at it's best! But, in order to keep the peace, we've decided to mow our lawn periodically this year. There is one particular area growing an amazing amount of healing plants so before the first cutting, we harvested some of the bounty. 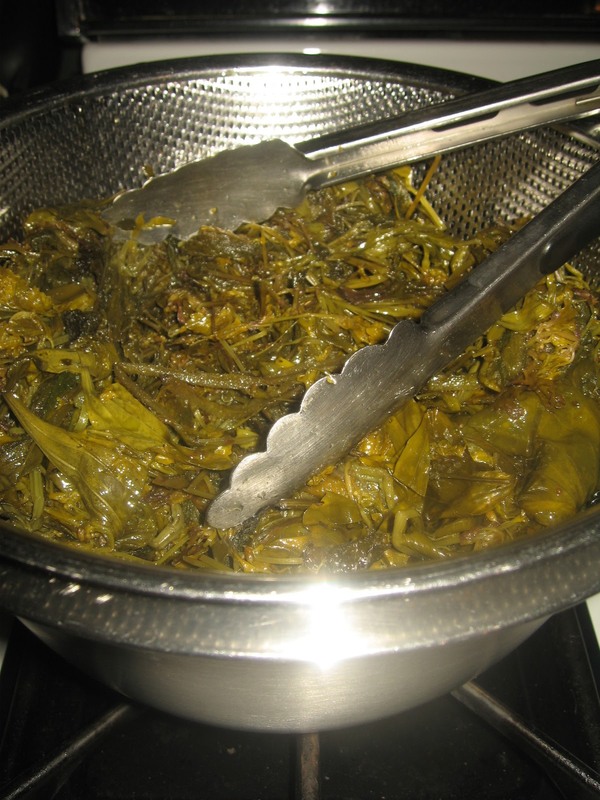 Since we've been really busy, we decided the best way to go was to fill a kettle with our harvest and make an infused oil that could be used in healing salves, as a massage oil or even in a fomentation in the future. We gathered, plantain, stellaria, ground ivy, comfrey and melissa, all of which have wonderful healing properties for sore muscles, drawing infection (caution: comfrey may cause rapid surface healing that would seal in germs so make sure to clean open sores first), wounds and bruising, even broken bones. the herbs steeped in the covered kettle overnight. but not enough to evaporate the essential oils. or added to another herbal remedy. When my friend Sadie, at All Natural Me, mentioned making violet syrup for Easter, I thought to myself, "How quaint! We should try it." But that was a busy time and who can keep up with Sadie! Plus my yard was full of wild violets so I put it off for another day. On our wildcrafting rescue mission before the first grass cutting of the season, I looked for violets and was sad to see that there weren't many left! We gathered what we could and made a batch of violet syrup and I'll just send you over to Lavender and Lovage for her recipe and beautiful pictures. Funny story...my husband, who is not really on board with all this herbal stuff, saw the bottle in the fridge and tasted the syrup. He found me and asked what was in the blue bottle in a disapproving tone of voice. when I told him he exclaimed, "It's REALLY good!" Join some of my favorite folks on a new adventure to celebrate Herb Day! 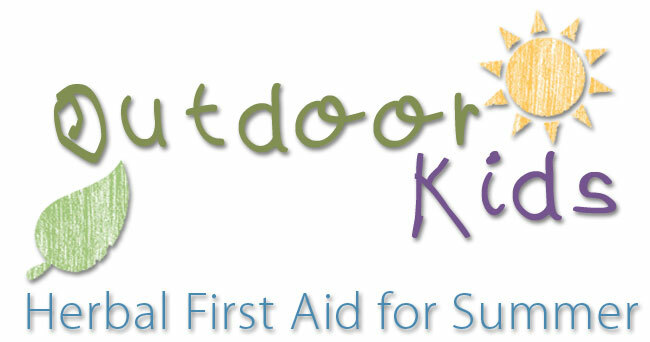 Join them this Thursday, May 3rd, for Outdoor Kids!